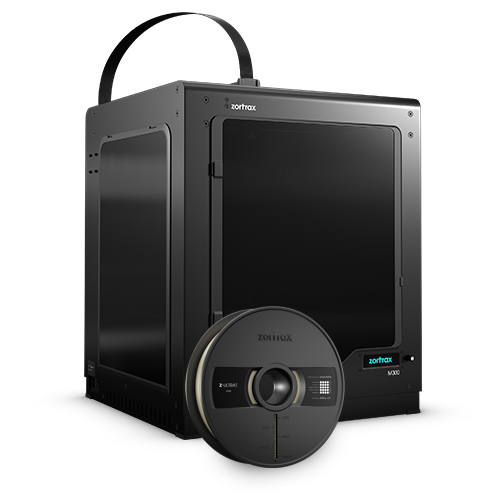 The Zortrax M300 3D printer is another 3D printer from the Polish manufacturer Zortrax. 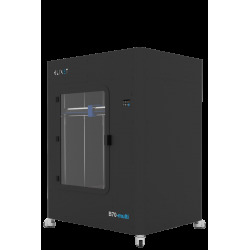 This is a single-mode 3D printer working in FDM technology, which is based on the flagship model, M200 printer. 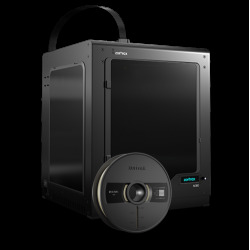 The Zortrax M300 3D Printer is the latest 3D printer from Zortrax. 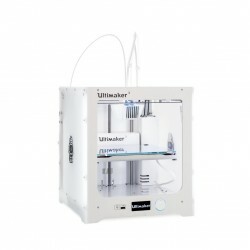 This is a single-mode FDM 3D printer with a 0.4 mm diameter nozzle. 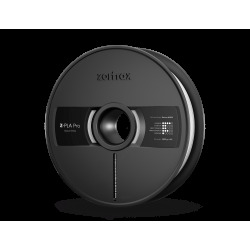 Zortrax M300 significantly increased the work space to an impressive size of 300 x 300 x 300 mm. 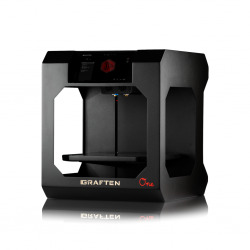 The design of the printer is made of modern metal alloys, characterized by high stiffness and high durability. Innovative stepping motors have achieved high positioning accuracy: the XY axis at 1.5 microns and the Z axis at 1.25 microns. Includes intuitive, intuitive Z-Suite software. 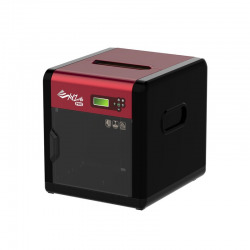 The Zortrax M300 uses the same high quality and secure storage as the print quality base. Z-ABS, Z-ULTRAT, Z-HIPS, Z-PETG, Z-PCABS and Z-GLASS and Z-ESD are materials that print prototypes not only for accuracy and durability, but also for perfect finish and variety of colors. 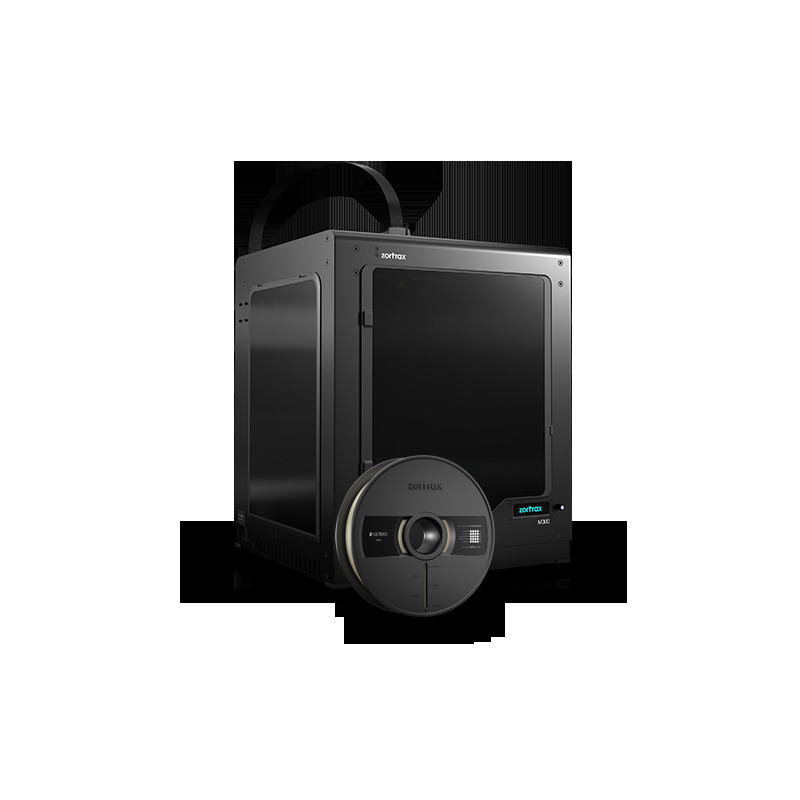 With less than 1 kilogram of Z-ABS filament, the Zortrax 3D printer can print as many as 360 cubes 25x25x25 mm. These cubes can be made into a rectangular dish with a volume of 7 dm³. The smallest height of the printed layer for the Zortrax M300 is 90 microns - this parameter allows for an extremely accurate reproduction of details of any even the most unusual and complicated design. 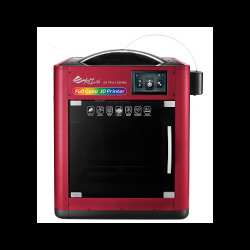 The device does not have any filament blockages, but using original Zortrax materials guarantees optimum heating and print performance. 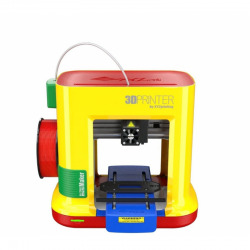 The design of the printer is entirely made of metal, which is characterized by high stiffness, and thanks to the use of very good stepping motors, high positioning precision has been achieved: the XY axis at 1.5 microns and the Z axis at 1.25 micron. These two aspects are crucial for maintaining high quality prints and their reproducibility. Another important part of the printer is the work platform. Thanks to the perforated surface, adhesion (adhesion) of the print to the table has been improved. On its surface you can find gilded fields, so-called. Calibration points that are part of the platform positioning and leveling system. This is a system that greatly speeds up the printer's performance and improves comfort. The manufacturer also took care of the easy dismantling of the table for transport, the whole is inserted into special magnets and hooks with two plugs. Without having to screw up any items, the whole operation takes a few seconds. The printer is very easy to use. 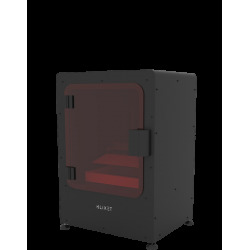 The printable model is prepared with the intuitive Z-Suite software attached to the printer. The model is written to the SD card and the printout procedure starts from the printer interface, so you do not have to connect your computer to the printer. This is a very friendly interface with options limited to the minimum necessary. We operate with a simple manipulator and select the operations we are interested in. Any operational changes such as material change or calibration of the table are maximally simplified and wide-ranging automated. 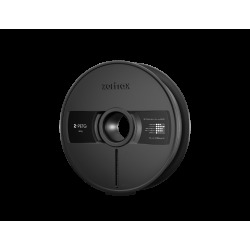 The Zortrax M300 is considered one of the least emergency in its class. In addition, the manufacturer gives users instructions on how to perform maintenance and service independently. The Zortrax M300 comes with a dedicated Z-Suite® software that automatically selects the best way to split printouts and generate head paths. Z-Suite® uses open .stl and .obj formats so that it is compatible with any 3D modeling software in Windows and Mac OS. The ease of use of the M300 makes it easy to communicate with your printer through a clear interface and input model data to your device via the SD card. Simplified table leveling, material replacement, and no need for technological parameters make this printer a good choice for anyone with no experience with 3D printing. One of the most important features of the Zortrax M300 is the extruder, the main mechanical part. This element perfectly matches the cooling and heating points so that when the Z-ABS heated filament is pressed, the clamping head is not clogged. The head is guided by a high precision of 1.5 microns for the X and Y axes and 1.25 microns in the Z axis. 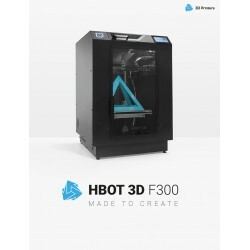 The 3D printer Zortrax M300 used a two-piece, perforated working platform which is easy to assemble and disassemble, all based on the magnetic attachment. With this solution, the device does not need to be leveled before reuse. 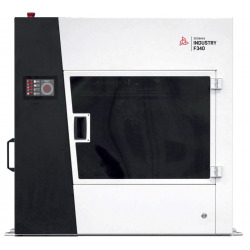 Once the printing has begun, the working platform is heated by the automated system to a certain temperature, depending on the material selected. 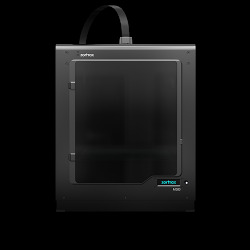 The Zortrax M300 also boasts an innovative automatic calibration system that ensures the work platform is properly set up before each print. 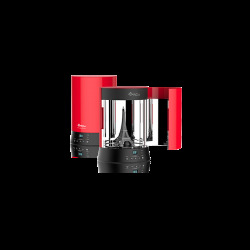 This system is equipped with special calibration points, which allow the printer to determine the position of the platform with very high accuracy. 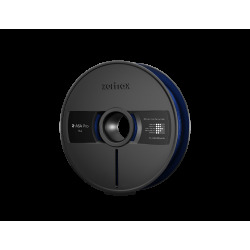 All of the aforementioned features make the Zortrax M300 a desirable device for the most demanding customers, whose price is very affordable and the service is as simple as possible. Education - Take advantage of modern solutions in education. 3D printers will allow students to better understand abstract models, such as geometric solids. Let them see the world through the prism of modern technology. Architecture - thanks to high quality and faithful reproduction of even detailed details - you can realize your architectural models quickly, in high quality. Medicine - 3D printing will enable you to develop and refine ideas that can save lives. Print durable models of high quality and share modern medicine. Automotive - accelerate the prototype process and test your ideas more precisely. As you streamline your design process, your business will gain momentum. Robotics - Tomorrow's changes start today. Use 3D printing solutions in robotics and create functional prototypes and moving constructs that will match the properties of modern tools. Consumer Production - If you have high requirements for your products, you should start using 3D printing solutions. This will meet the expectations of consumers. 1. After providing the possibility of using external materials further provide warranty protection of the product? Yes, the warranty is still valid. 2. Has the warranty changed? If so, what has been changed? Yes, the warranty card records have been adapted to the new conditions, for the benefit of the user. Removed restrictions on the use of external materials. 3. Since when do the new warranty terms apply? From April 24, 2017 - from the official moment of introducing the possibility of using external materials. 4. Which users change warranty terms? These changes apply to M-series printers that have a valid warranty card and have begun using external materials. As well as users not covered by the coverage area of ​​the warranty card, and their device has a problem during initial startup. 5. Does the warranty work backwards? Does it apply to users who purchased a printer before entering external content? The amendment to the warranty covers all equipment currently in the warranty coverage period and applies to situations occurring after April 24, 2017. 6. Do the warranty conditions when using external materials also apply to the "start-up period"? Yes, during the contractual period of verification of the product, the conditions guarantee protection. However, for objective evaluation we recommend the use of dedicated material attached to the product. 7. 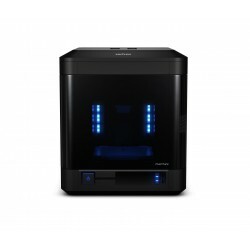 Can I print from external materials during the "start-up period" of the device? Yes, but we recommend printing from dedicated device materials. 8. 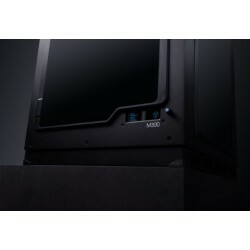 Are the Z-ABS or Z-ULTRAT used in the M300 treated as external materials? These are dedicated materials for M series printers and so will be treated. 9. Do I lose warranty when printing on M300 from Zortrax printer not depicted on M300 printer on "external materials" profiles? 10. I printed with extraneous material I was blocked by an extruder block. Will I get a replacement part under warranty terms? If damage to parts is a result of factory defects, warranty replacement is possible, but if the defect results from the specific properties of the material - the replacement will be payable. 11. When printing from external media, the print quality is unsatisfactory. Can I claim a claim? Print quality is not a basis for complaints. 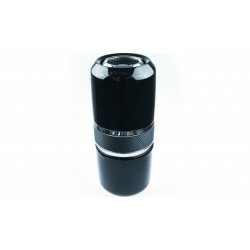 The best results can be obtained by printing from materials recommended by the manufacturer. 12. Is the list of parts excluded from warranty protection changing due to the introduction of external materials changed? List of parts is unchanged. 13. Are profiles "external materials" based on "Zortrax Materials" profiles? Yes, "external materials" profiles are based on "Zortrax Materials" profiles. 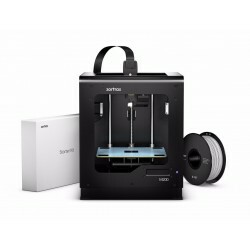 The Zortrax M200 3D Printer is an integrated 3D printing environment that incorporates Z-Suite software and Z-Filament Series print media. Profesjonalna, przemysłowa drukarka 3D z obszarem roboczmy 400x400x520 mm. Jako opcja - dostępna jest również druga głowica drukująca. Idealna dla każdego kto dopiero zaczyna przygodę z drukiem 3D, nie ma znaczenia czy jesteś dzieckiem, nastolatkiem czy dorosłym. Innowacyjna Drukarka 3D w technologii UDL (DLP) z polem roboczym 220x125x260 mm oraz precyzyjną mechaniką pozwala na dokładne odwzorowanie modelu. Najbardziej zaawansowana drukarka 3D o polu roboczym 215 x 215 x 200mm z podwójnym ekstruderem w klasie desktop dostępna na rynku. Przemysłowa drukarka 3D o dużym polu roboczym 400x400x1000 mm. Jej rozdzielczość (warstwa do 400 mikronów) pozwala na wydruki o wysokiej jakości.